Judd is waiting for Mr Big. They’re meeting in a club this time, it’s dark and dimly lit but there’s an air of sleekness and modernity to the place that was missing in the pub where they met the first time. There is a lot of stainless steel and chrome around and Judd thinks that this is much more Mr Big’s style. There are no staff around, Judd wonders if Mr Big ordered them to go or if they’re usually not here by now. Mr Big appears at the door, startling Judd. Judd rises and reaches out to shake Mr Big’s hand. Judd raises an eyebrow in surprise. He had not expected Mr Big to know these things about his own life. He doubts that even Obo knows about the trial his father is undergoing. Then he realises that Mr Big is a businessman, through and through, he needs to know about his competitors and his business partners. It only makes sense that he would be asking around about Judd. He feels violated though, his privacy invaded. He takes a deep breath to calm the white hot anger threatening to spill out and ruin the meeting. “Of course,” Judd says, smiling. He reaches into his pocket and pulls out a small bag of cocaine. 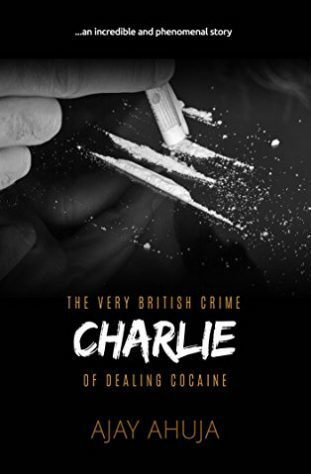 He holds it out to Mr Big between his forefinger and his middle finger, the drugs dangling enticingly in the baggie. Mr Big smiles and takes the bag. He lays out a line and delicately snorts it up. He sits back and snorts before coughing slightly and wiping at his nose. He sits there for a few minutes, waiting for it to kick in completely. He looks a little spaced out. Judd sits and waits, holding his breath. He knows the drugs are good but he just wants to hear it from Mr Big. Finally the other man smiles broadly. Judd was about to get out of his seat and shake hands with Mr Big but his words make him sink back down. He can’t understand what Mr Big could want to talk to him about, they are there to make a deal and nothing else. Judd laughs nervously. Mr Big smiles fondly, like he is looking at a favourite grandchild. Judd is listening properly now, leaning forward on his chair with his arms resting on the table in front of him. Judd listens closely. Some of what Mr Big is saying has been lingering in his own mind, appearing more and more often lately. He wonders how Mr Big could know all of this, all the thoughts that he’s never shared with anyone. Mr Big’s lips narrow into thin lines and he breaths out harshly. A small line appears between his eyebrows. He leaps to his feet, the chair clatters and slides across the floor behind him, tossed out by the force of his legs. A pair of men in suits appear from the shadows and walk up to stand on either side of Mr Big. He holds up a hand to stop them getting any closer. Mr Big nods and crosses his arms over his chest. Judd glares at the other man for a few moments. The two suited men take a step forward, closing in on him. He flaps a hand at them. He walks to the doorway and pauses. He turns back to Mr Big. Judd leaves, slamming the door behind him.